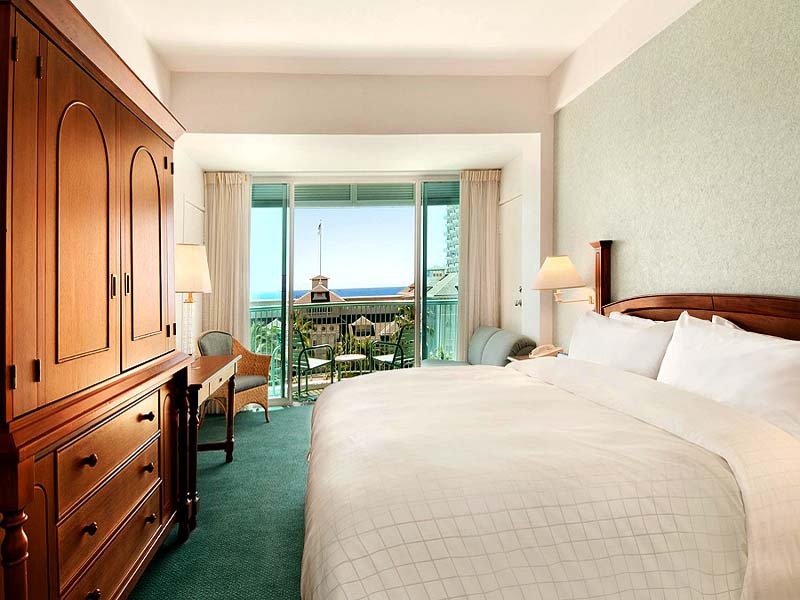 Set in the heart of Waikiki 3.5-star resort The Sheraton Princess Kaiulani offers fantastic value for your Hawaiian holiday! Featuring everything you need for the perfect holiday including outdoor pool, day spa, close access to world-famous Waikiki Beach and on-site restaurants and bars, discover the royal island experience at Sheraton Princess Kaiulani. Experience Hawaiian culture at Sheraton Princess Kaiulani. This well-appointed resort features modern facilities and luxurious amenities conveniently located in the centre of Waikiki. Stay in the luxury rooms complete with outstanding views of the ocean or the city and exclusive Sheraton touches. Each of the rooms are equipped with deluxe amenities including furnished private balcony, air conditioning, Sheraton Signature Beds, TV with cable channels and on-demand movies, refrigerator and coffee/tea making facilities. 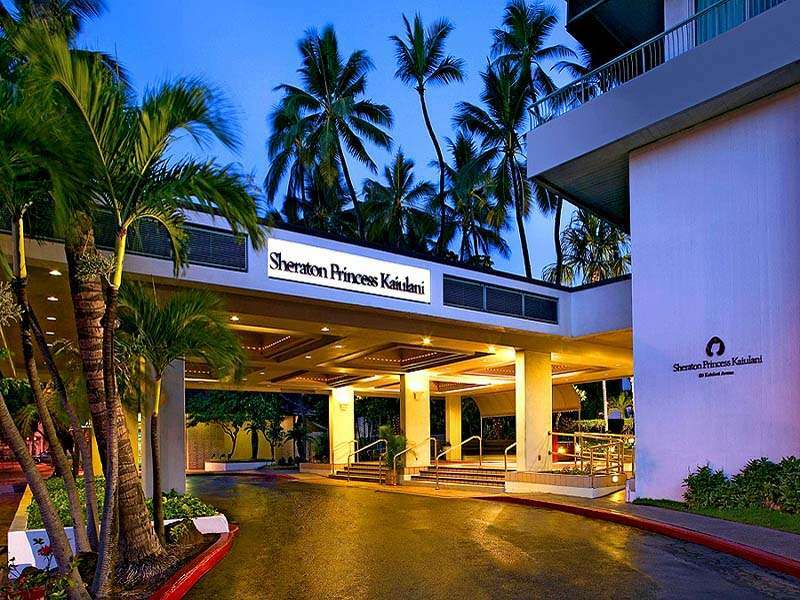 Sheraton Princess Kaiulani features two dining options. Casual open-air buffet restaurant, Pikake Terrace, offers local favourites in a poolside garden setting while the Splash Bar lets you enjoy happy hour all day long with poolside drinks, appetizers and entertainment. Sheraton Princess Kaiulani offers guests a truly cultural experience. Each day there’s a range of Hawaiian cultural and historical activities offered by the resort. From lei or bracelet making to hula lessons; fish feeding to ukulele lessons, there’s something for everyone in the family. 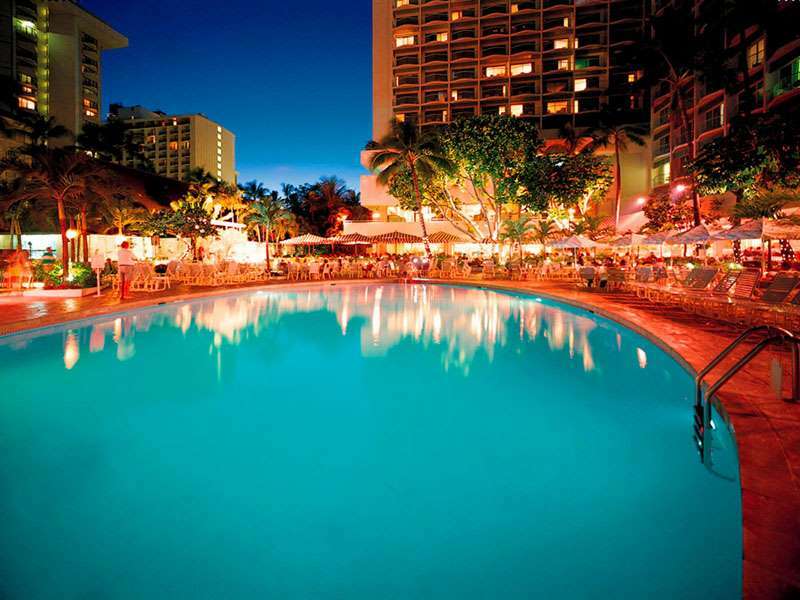 Spend the day at the world-famous Waikiki Beach then return to the resort to relax even more cocktail in hand at the resorts swimming pool with poolside bar. 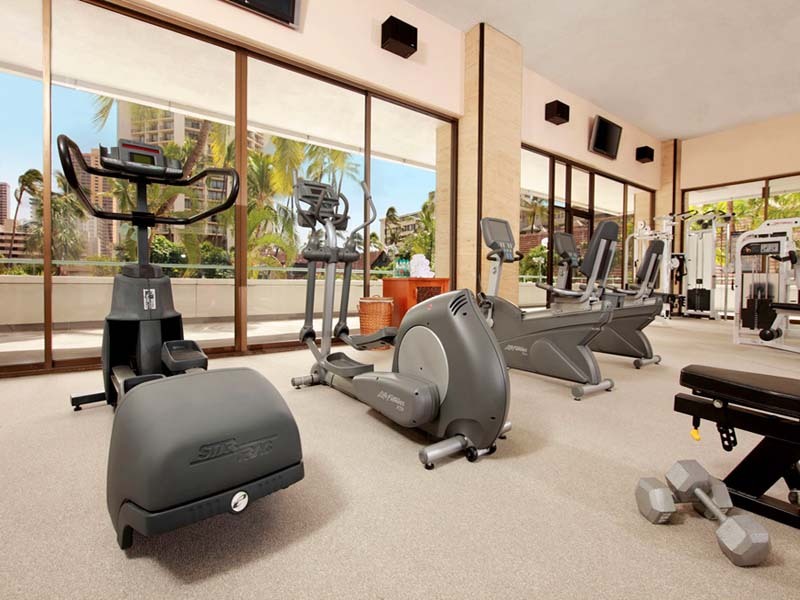 Equipped with high-end gym facilities you can maintain your fitness at the on-site Fitness Centre – if you can tear yourself from all the incredible fresh food and tropical cocktails! Enjoy views of the resort pool from your private balcony when staying in a Pool View Room at the Sheraton Princess Kaiulani. Located just minutes from the beachfront, your accommodation is air conditioned and furnished with a King or 2 Double Sheraton Signature Beds, deluxe bath amenities, traditional wooden furniture and other Sheraton special touches. With over 27sq. metres of space, these rooms accommodate up to 4 guests. Take in pool or ocean views from your private furnished balcony and enjoy over 26sq. metres of space. With warm, tropical décor, exotic wooden furnishings and your choice of a King or 2 Double Sheraton Signature Beds, these rooms will have you relaxed and feeling the island vibes in no time! Tower Partial Ocean View Rooms can accommodate up to 4 guest and boast a flat screen TV, mini fridge, air-conditioning, Wi-Fi and a private bathroom with deluxe Shine Spa toiletries. Take in the breathtaking view of the Pacific Ocean from your furnished balcony. These rooms feature either a King or 2 Double Sheraton Signature Beds, deluxe spa amenities, in-room coffee and tea facilities, a flat-screen TV, Wi-Fi and other Sheraton special touches to make your stay truly remarkable. They comfortably accommodate up to 4 guests and are approximately 26 sq. metres. Celebrate your setting in a Princess Ocean View room! Wake, relaxed, from the perfect night’s sleep in your plush Sheraton Signature bed and gaze out at the horizon beyond the stunning Moana Surfrider, A Westin Resort & Spa (this resort’s sister hotel). Princess Ocean View rooms offer up to 28sq. metres of space, a private balcony, King or Twin bedding, air-conditioning, Wi-Fi, a flat screen TV, Shine spa products and more! They can accommodate up to 4 guests. 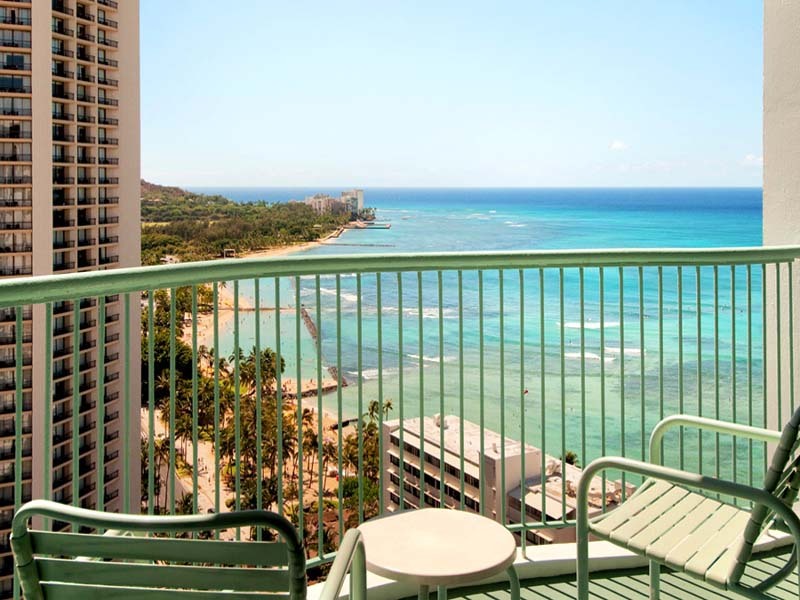 Panoramic views of the Pacific Ocean will take your breath away as you relax on your private, furnished balcony in the Tower High Ocean View Room of the Sheraton Princess Kaiulani. Furnished inside with either 1 King or 2 Double Sheraton Signature Beds, deluxe bath amenities, traditional wooden furniture and other in-room touches to make your Hawaiian holiday exceed expectations, these rooms provide the perfect, elevated stay for up to 4 guests. They are approximately 26sq. metres. 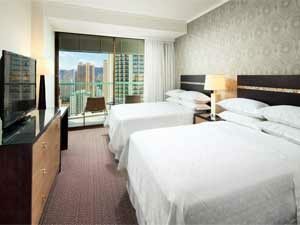 The Sheraton Princess Kaiulani is in Waikiki, just one block back from the famous Waikiki Beach. There is no better place to spend your time in Oahu than Waikiki! 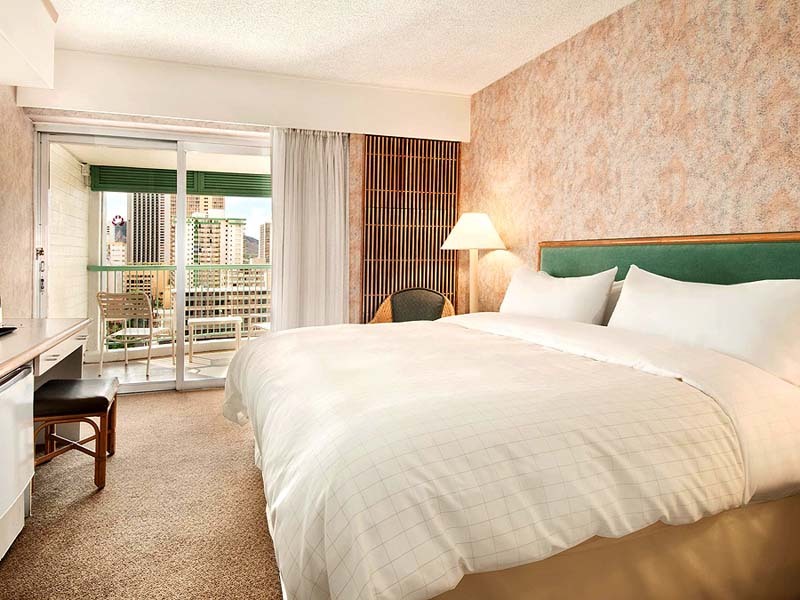 The Sheraton is within walking distance of all the shops and restaurants, and just a 25-minute drive from the Honolulu International Airport. The Sheraton Princess Kaiulani has so many activities on offer at the resort and around Waikiki that you’ll want to extend your holiday just to fit it all in! Immerse yourself in Hawaiian culture with one of the many cultural and historical activities offered at the resort. From ukulele lessons to the life tour of Princess Kaiulani; Kukui nut bracelet making to fish feeding, there’s an educational and cultural experience waiting for any kind of traveller! Head into Waikiki and shop for the latest fashion, jewellery and cosmetics. 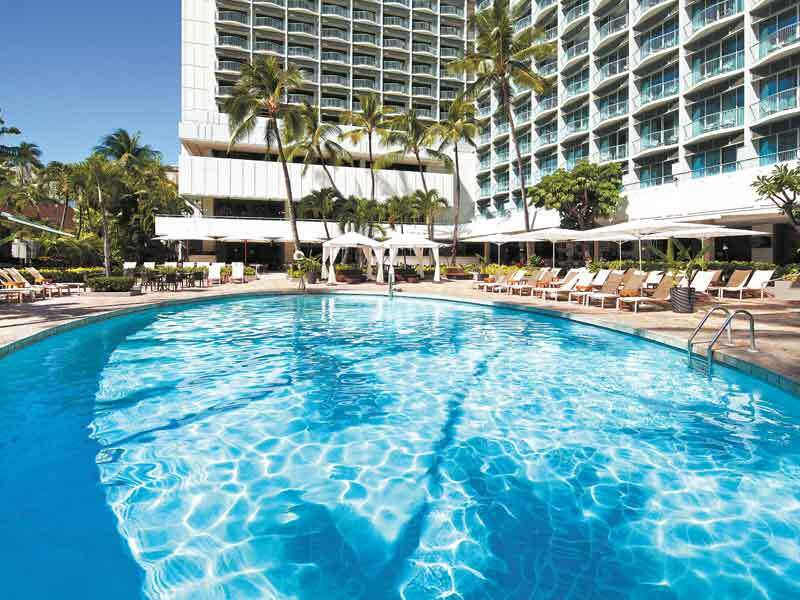 Sheraton Princess Kaiulani provide The Collections of Waikiki booklet containing useful information on the shopping destinations to help you find a bargain! Stroll to Waikiki Beach and soak up some sunshine on the beach chairs in the resorts designated area and be treated to fresh fruits, water and fresh towels. For the adventure-driven holiday maker, have a go at one of the most popular activities in Hawaii and left to surf to calm, smooth waves of Waikiki. The service here is outstanding. 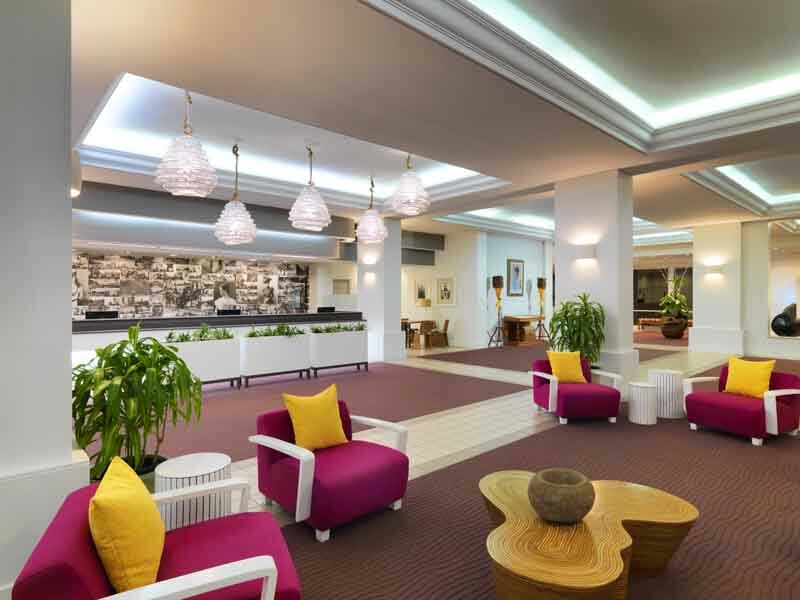 The staff are friendly and will accommodate as quickly as they can. It’s clean and just a really nice place to stay. It’s close to all connections for tours and shops of every kind. We’d stay here again in a heart beat.